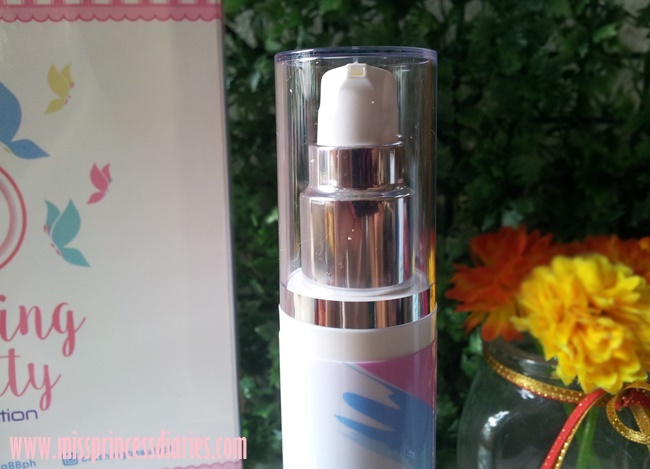 On the past days, I have shared with you this breakthrough technology in skincare that I discovered. It was the "water-burst" formula. I was fascinated by the idea to incorporate this innovative technology to sunscreens. 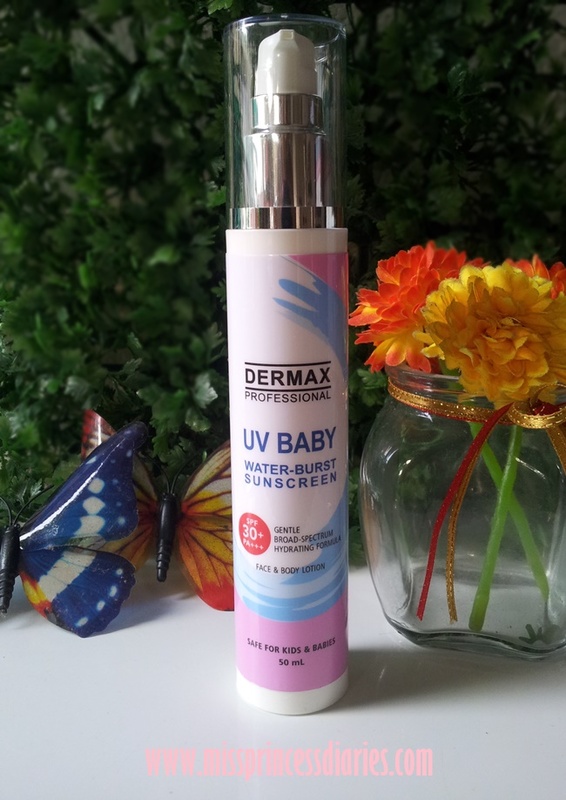 Dermax Professional by Skin Station launched two variants of these sunscreens namely: UV Baby and UV active. Both DERMAX UV series have the newest water-burst technology. For now, let us take a look closely with the UV Baby broad-spectrum hydrating formula. Aside from the water-burst formula, UV Baby has the right amount of protection we needed in a sunscreen. You now that there are a lot of myths we mistakenly knew about getting the right sunscreen and I told you all about it HERE. 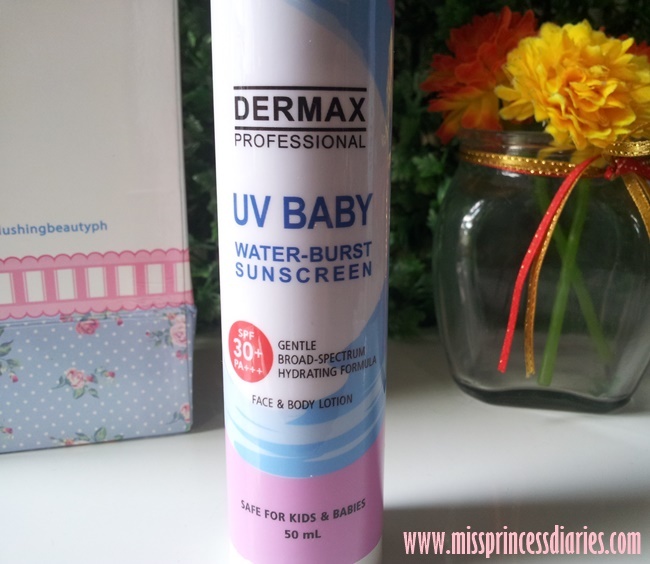 It has SPF 30+ and PA+++ for the UVA and UVB protection. Because it has the water-burst formula, the consistency was watery and light which makes an easy application of the product. It was definitely good for daily use since it was very gentle on skin. The UV Baby sunscreen was made for the most sensitive skin since it was safe to use for kids and babies months and older. I also loved the pump bottle of this product since it was convenient to use. It was in a slim tube easy to carry anywhere. It can be used both on the face and body. I wasn't hard to use it on face, unlike other sunscreen that is just for the body, because it was very gentle and hydrating . The breakthrough formula releases a cooling boost of moisture on the skin. It begins with the creamy texture and as you lather the product on your skin, it releases water droplets combined with the product. Hence, creating a refreshing sensation. The sunscreen was lightweight and non-sticky at all. It was easily absorbed on skin so, it leaves the skin with soft, no white cast and undesirable oily skin. Direction of use: Apply evenly on face, neck and arms before sun exposure. Reapply as needed. Don not stay too long in the sun even while using a sunscreen product. Overall experience. The product wasn't hard to love and I recommend for daily use. The hydrating and gentle formula is the best. It has the right protection that I needed for sun protection. The water-burst formula was very promising in skincare products especially on sunscreens since, we needed an extra boost of moisture whenever we are exposed to the sun.